Essentra’s extended-content labels are pressure-sensitive, multipanel labels that can more than double the amount of space available for information on your product without compromising the design or slowing down on-line application speeds. Printed folding cartons in various types and formats. 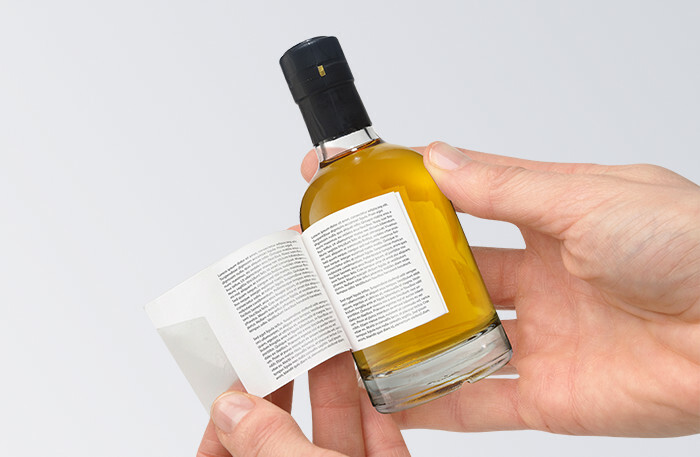 Premium labels for for shelf impact and protection. Leaflets in a range of sizes, formats and multicolour print. A variety of tapes for easy opening and closing.